Heigh ho, heigh ho it's off to the Kings Theatre we go for this year's panto offering, Snow White and the Seven Dwarfs. Differing slightly from the original tale, the show opens as Queen Morgiana consults her magical mirror only to be told that when her stepdaughter Snow White turns 18, Morgiana will no longer be the fairest in the land. Fast forward 10 years to the lavish celebrations as the villagers are throwing Snow White a party for her 18th birthday - a joyous celebration for most but not for Morgiana, who hatches a plan to ensure the mirror's predictions do not come to fruition. Des Clarke made for a marvellous Muddles and really brought the show to life, helping to get (and keep) the audience participation at an all time high. Getting 1800 people to scream 'bring doon the cloot' cannot be a simple task but one that he pulls off with ease. 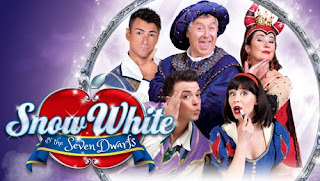 Recent RCS graduate Jenny Hayley-Douglas shone playing the title role of Snow White, every line and lyric perfectly delivered with buckets of enthusiasm. Juliet Cadzow and Gregor Fisher gave solid and humorous performances playing villain of the show Queen Morgiana and her henchman Hector. When it came to the dynamic set there was no expense spared. There was a vibrant explosion of colour from the very first scene which, coupled with effective lighting, succeeded in keeping even the younger children engaged. 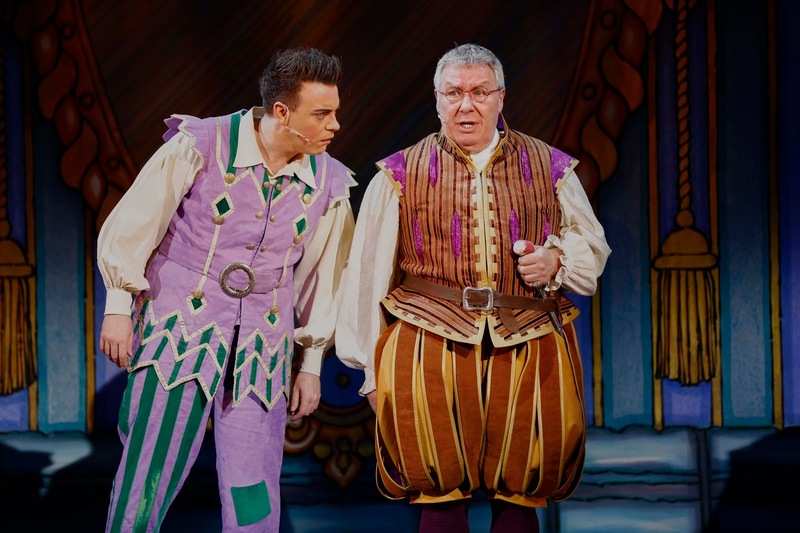 This production is filled with colourful costumes and catchy songs, ensuring to get the most Scrooge-like person on their feet - another success from one of Glasgow's oldest and most loved panto institutions.